While beer festivals have multiplied to point of mainstream adoption, the truly elite continue to thrive and stand tall above the rest. There may be no festival that stands taller than Big Beers Belgians and Barleywines. 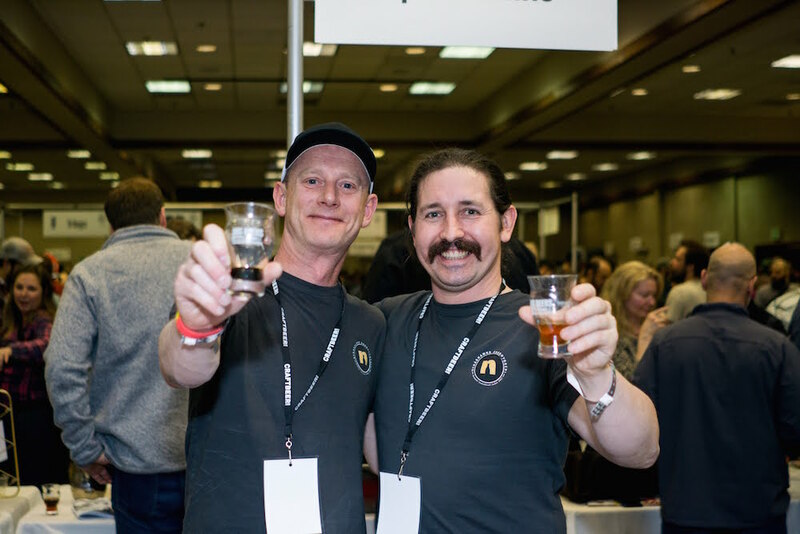 Each year the showcase of rare, high gravity beers grows in stature, and each year we’re left in greater awe at the quality of beer being produced in the industry. 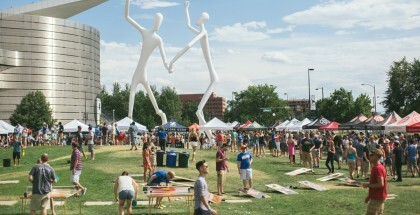 Much like many of the Colorado-based big-name fests, the prevailing theme at this year’s Big Beers continues to follow the trend of the increased proficiency among home-grown talent. 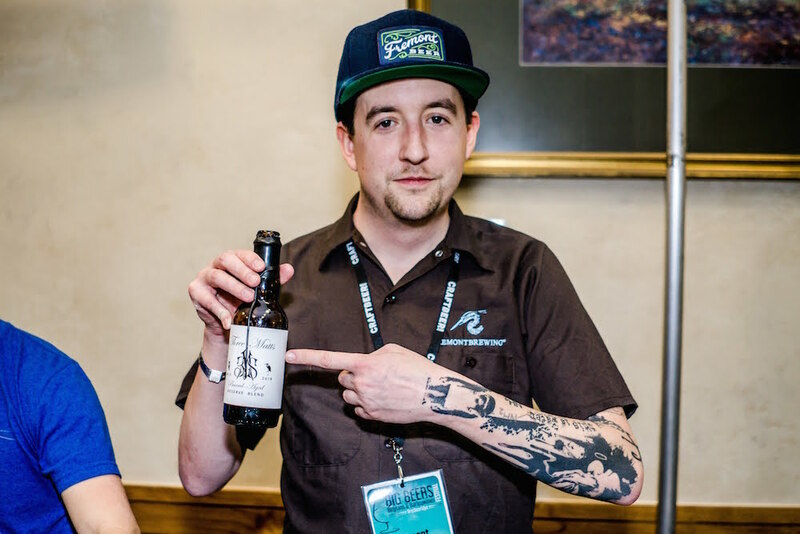 From big barrel-aged Stouts to nuanced delicate wild Saisons, Colorado continues to elevate its profile among craft beer’s elite, and no battleground better showcases that statement than this yearly gathering of industry all-stars. 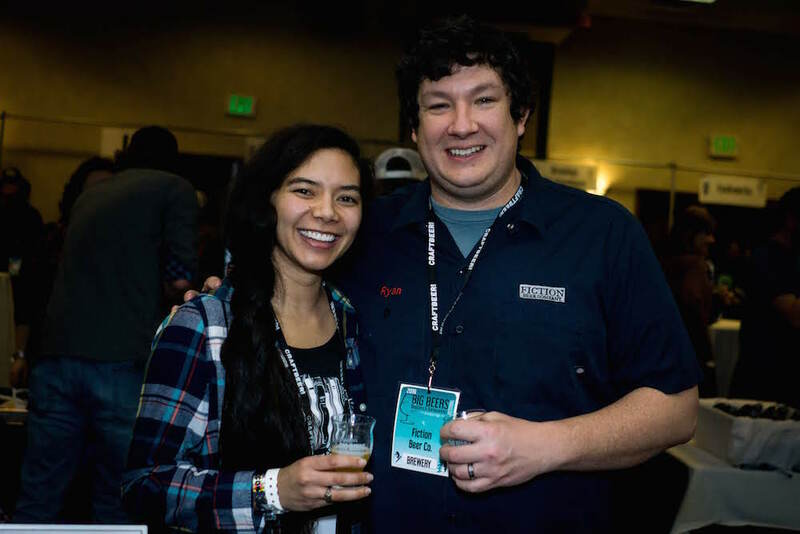 Aside from the sheer might behind this year’s beer lineup, this year’s festival meant a bit more, as sibling organizers Bill and Laura Lodge were dealt a horrific family tragedy just days before this year’s event. Our heart goes out to the Lodge family for their loss, and express immeasurable gratitude for all that they’ve created and continue to do for this industry even in the wake of their own hardships. Here were some of the standouts from this weekend’s festival. Mad Fritz – Napa Ale Saison: This tiny artisan brewery in the Napa Valley was probably my favorite discovery of the festival. 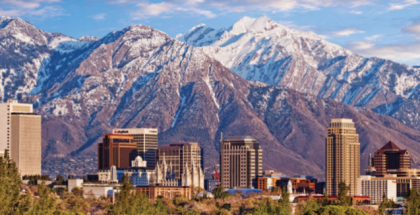 All the ingredients for this beer – it kind of defies a style definition – were grown, malted and brewed within a 20-mile radius of the brewery. The malt, rather than the local hops, drive the flavor. Cucumber, melon and floral notes, with a dry finish. “Be prepared for a unique experience,” the tasting notes promised. It delivered. Nynäshamns Ångbryggeri – Vinterporter 2015. 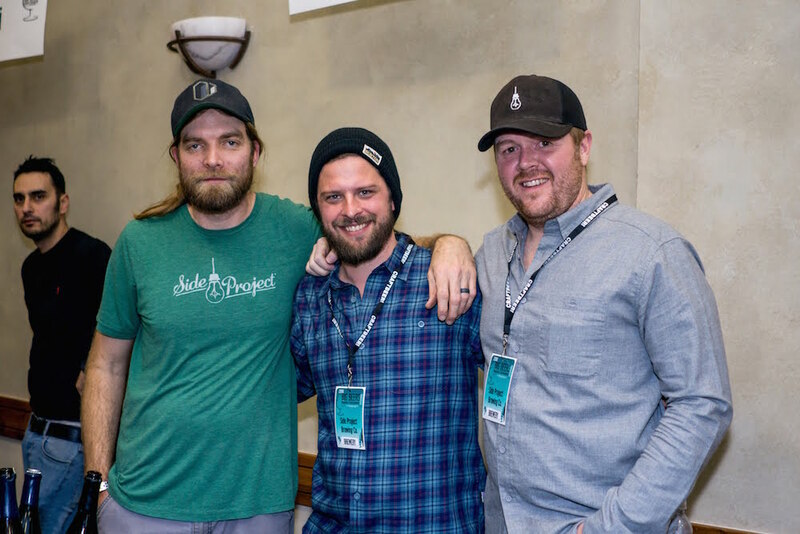 The Swedish brewers were understandably nervous waiting for their beer to arrive in town — which it finally did, with hours to spare before it shared co-billing with Ska Brewing at the Brewmasters Dinner. Thank goodness. These guys do not chase trends. They brew to traditional style, and do it superbly. This strong warming porter was rich, complex, roasty and smooth. WeldWerks Brewing – Bourbon Brandy Medianoche Imperial Stout: My favorite of the four variants of the Greeley brewery’s wildly popular barrel-aged stout series. This batch was aged for two years in what was first an oak brandy cask, then held bourbon in its second life. The beer had a delicious sweetness and a much different flavor than Weldwerks’ adjunct-flavored variants. Black Project – Stargate Wild Ale: A beautiful marriage of sour and sweet, this spontaneously fermented sour ale with Palisade nectarines was refermented and aged in a fresh whiskey barrel. This is part of a series of beers each from a different spirit barrel, up for public sale soon. Amalgam Brewing – All Becomes Void. There were certain beers that we had a hunch would likely become favorites heading into the weekend. Powder Keg, the former project of Philip Joyce and Eric Schmidt developed a following for their barrel-aged stouts so this first foray from Amalgam into the style was one we’ve been waiting for. All Becomes Void lives up to the hype, as a blend made specifically for Big Beers. Amalgam Brewing – Balaton Reduction. Just one of the more unique beers — it is a beer, right? — of the festival. 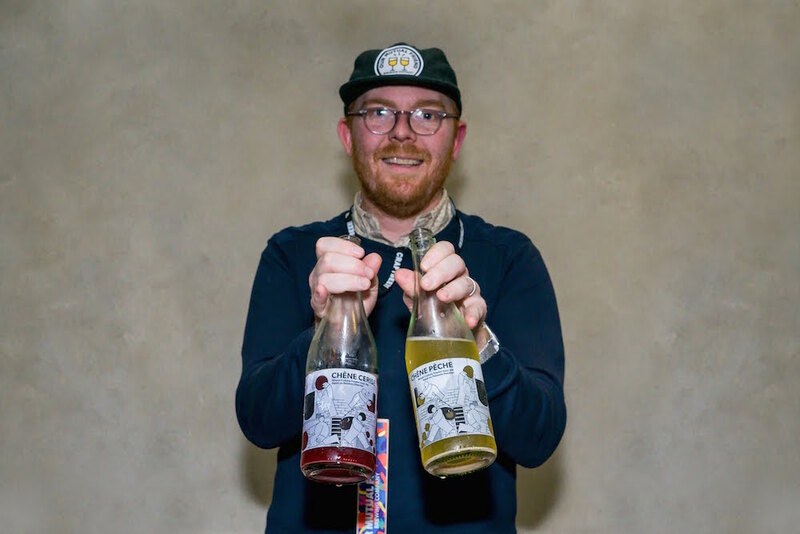 I will lean on the tasting notes to explain it: Inspired by Eisbier production methods, Denver’s Amalgam Brewing reduced and concentrated a Balaton Cherry Golden Sour beer aged in California Cabernet Sauvignon barrels by freezing it. Then the concentrated liquid was transferred to a freshly dumped bourbon barrel for extended aging, and packaged and served still. Just about the most beautiful bottle you will see, too. Such an exciting brewery to watch. Kane Brewing – Driftwood: There’s a lot going on here and it works. The New Jersey brewery I couldn’t get enough of at the Great American Beer Festival originally tried to put its drinkable seasonal brown ale in a bourbon barrel. 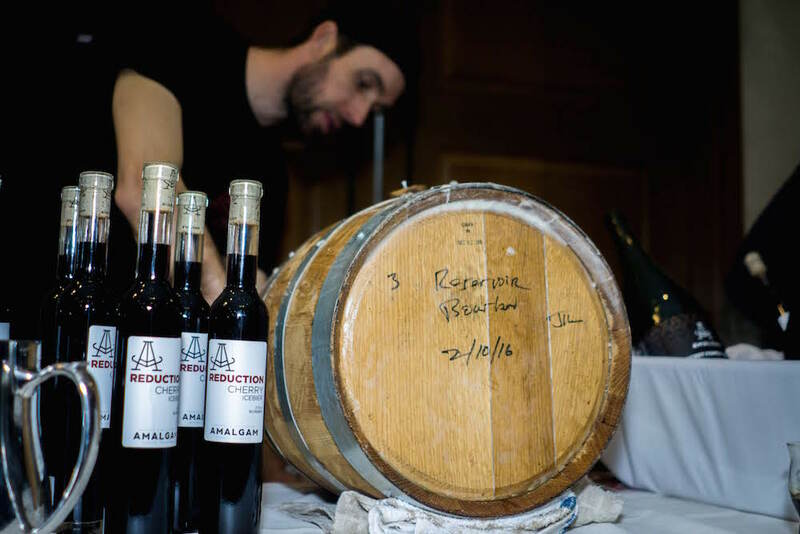 That beer turned out to be too thin for barrel-aging, so Kane brewed a bigger version with molasses and maple syrup aged in apple brandy barrels and aged it for 12 months (14 percent ABV). All right, I guess I have a weakness for brandy. Three Taverns – Double Smack. 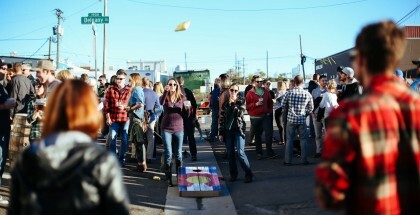 I didn’t know this Atlanta-area brewery and just stumbled upon it — always fun at any festival. This beer was fun, rich and a little out there: A “maple, bacon, banana, coffee imperial milk stout aged in bourbon barrels.” (12.5 percent). Fiction Beer Co. – Headology Imperial IPA. On the hoppier side of the spectrum, Fiction has carved out a niche within the Hazy IPA market and they continue to impress with each and every offering. Such is the case with Headology a 10% Double IPA that drinks more on the 7-8% scale. That balance is brought on by the wonderful use of tropical juice-forward hops and rounded light smooth finish. Comrade Brewing – DDH Superpower IPA. Because you can’t just drink barrel-aged stouts all day. Brewer Marks Lanham is a master of hops. Call to Arms Brewing – Really, Really Ridiculously Good Tasting Saison. Another member of our team first profiled this bright nuanced balanced Saison last month, and it lives up to the hype. Drawing wine-like characteristics from the Chardonnay barrels balanced with the perfect level of funkiness from brett, Really Really Ridiculously Good Tasting lives up to its namesake. Cellar West Artisan Ales – Cobwebs: Stones Again Wild Ale. Cellar West consistently impresses with their ability to brew such well-rounded dynamic, yet understated Wild Saisons. Cobwebs is no exception, using the beer as a blank canvas to show off the beautiful plum and apricot profile of the beer. Crooked Stave Artisan Ales – Private Reserve Barrel #145 Heaven Hill Imperial Stout. When drinking through a sea of incredible barrel-aged Stouts at Big Beers, it really becomes hard differentiating between them all. 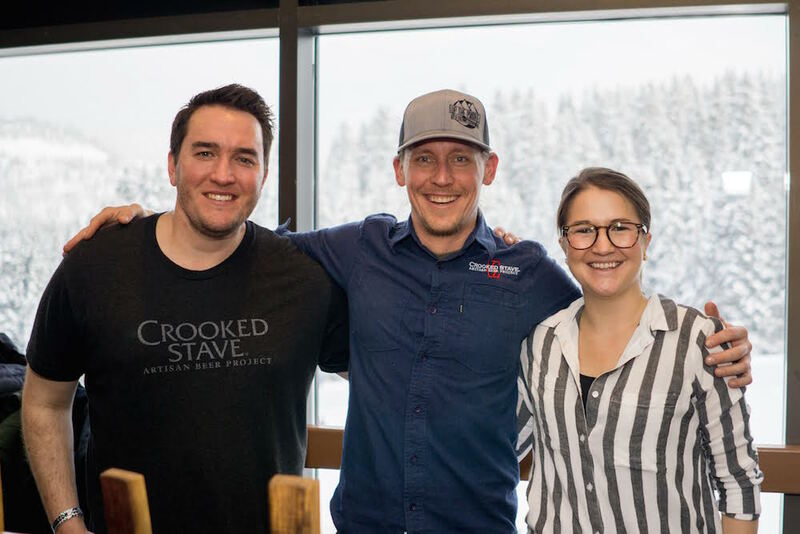 However a few of the truly elite always shine through, and Crooked Stave’s rare foray into the style showcases one of the weekend’s best. We’re hearing Cellar Reserve members will be some of the rare few who will get to experience this once again. Great Divide Brewing – Wood Werks #2 Flemish-Style Sour with Strawberries. It’s refreshing when a classic legacy brand can continue to re-invent itself. Such is the case with Great Divide’s Wood Werks #2. While not particularly known for barrel-aged sours historically, this Flemish Red with Strawberries brought just a slight tinge of tartness balanced by bright sweetness from the strawberries. It’s seriously time to start watching this Wood Werks series. Our Mutual Friend Brewing – Chene Peche Sour. 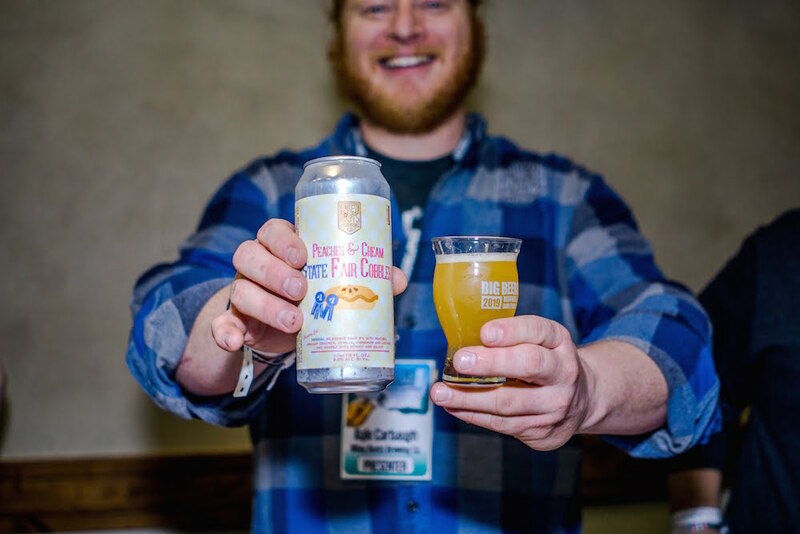 Admittedly we got a little flack for not mentioning OMF in our year-end recap, but with the hundreds of breweries in Colorado it can sometimes be easy to overlook even the ones in your own backyard. We made it a point to explore their recent dual sour release and weren’t disappointed. Chêne Pêche is, in fact, a fantastic expression of Colorado beer using 100% Colorado malts and hops as well as Palisade peaches finishing with a great balance of acidity and fruit. Upland Brewing – Champagne Velvet. When drinking 8% or higher abv beers at altitude it’s important to break up the onslaught of big beers with a palate cleanser. One of the best on the market happens to be a pre-prohibition Pilsner, whose hand-written recipe was revived from the now-defunct Terre Haute Brewing Company. Luckily for beer fans, Upland just announced a wider rollout of a 12-pack of 12oz cans coming to stores in 2019. Upland Brewing – Galaxy Grove. Perhaps one of the more complex and subtle offerings of the weekend, Galaxy Grove bursts forth with awesome tropical notes brought on purely from a generous dry-hop, yet finished with that perfect kiss of Brett funkiness. While we’ve been apprehensive at times about Upland’s proclivity toward acidic sours, this collab with Cigar City landed perfectly on bright crisp funky notes. Side Project Brewing – Beer: Barrel: Time 2018 Imperial Stout. The third from the weekend’s trio of all-star barrel-aged stout blends comes from Side Project Brewing. Featuring a blend of three different stout recipes aged for various amounts of time in Willet, Heaven Hill and Knob Creek barrels all for over 17 months, Beer: Barre: Time represents the ultimate in carefully selected blends to yield the ultimate finished product. Verboten Brewing – Cognac Whiskey Grow Old with You Barleywine. Barleywines tend to be a style that take a bit of maturation on the palate, and mine was no different. However, even an introductory beer drinker would be able to detect the artistry and depth behind this Cognac barrel-aged rendition. 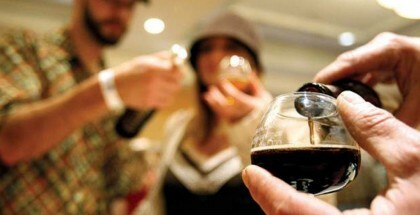 It’s no wonder it took home a gold medal at this year’s Festival of Barrel-Aged Beers. Wiley Roots – Peaches & Cream State Fair Cobbler. Admittedly I’m a little averse to trendy styles and have generally found Milkshake IPAs as the dregs of my preferred beer styles, howeve,r their Peaches and Cream State Fair Cobbers drank exactly as the name would indicate, as a beer smoothie that tasted exactly like Grandma’s pie in liquid form.